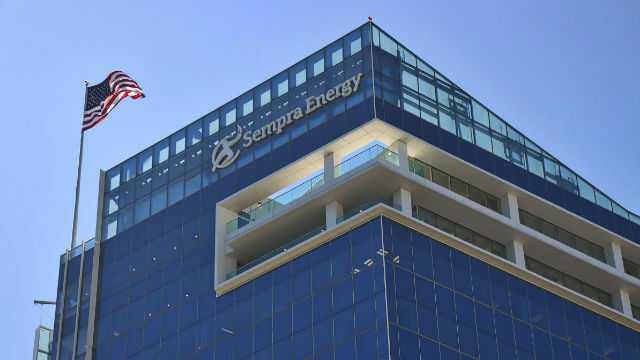 San Diego-based Sempra Energy said Thursday its second-quarter earnings declined from $295 million to $16 million due primarily to losses from the sale of its stake in the Rockies Express natural-gas pipeline. The parent company of San Diego Gas & Electric said the losses would be reversed by year end and reaffirmed its forecast of annual earnings in the range of $4.60 to $5 per share. Sempra said earnings were also reduced by a rate decision from the California Public Utilities Commission that resulted in $80 million in refunds to electricity and natural gas customers in Southern California. The utility’s earnings in the first six months of 2016 were $335 million, or $1.33 per share, compared with $732 million, or $2.91 per share, in the same period a year ago. Revenues were $4.8 billion compared to $5.0 billion a year ago. She said the utility expected to achieve 12 percent compound annual adjusted earnings-per-share growth from 2016 through 2020. The company also reported that its costs related to the Aliso Canyon natural gas leak now total $717 million, but $679 million is covered by insurance, with $34 million collected to date. Sempra employs 17,000 people and serves more than 32 million consumers worldwide.